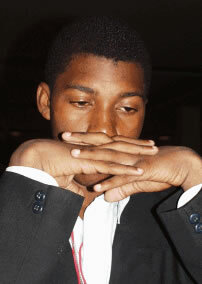 2007 African Chess Championships: Robert Gwaze pulls ahead! Boards continue to run red in Namibia. Everyone of the participants in the 2007 African Championships has had to shed at least 1/2-point. That is… all except Robert Gwaze (right) of Zimbabwe. Gwaze toppled Tunisian Grandmaster Slim Belkhodja as the the high-rated continue to have problems. Coupled with Amon Simutowe's draw against Pedro Aderito, the tournament will feature the first marquee matchup of the tournament… Simutowe vs. Gwaze. Those following Africa had long debated which of these two would join the Grandmaster ranks and while Simutowe has meet the norm requirements, everyone can see that Gwaze has the talent to do the same. Both of the players are roughly the same age and starred in African Juniors winning three titles between them: 1998 (Gwaze), 1999 (Simutowe) and 2000 (Simutowe). Both have also won medals in the Olympiad: 2000 (Simutowe - silver), 2002 (Gwaze - gold). The balance of power has seemingly changed in Africa. Given developments of this tournament, all regions of Africa appear to have talent waiting to be developed. Nigeria's Kolade Onabogum (1890 ELO)appears to be the newest star having beaten FM Farai Mandizha and IM Kenny Solomon and will be tested against Belkhodja in round five. Saharan players have taken a beating thus far, and new talent is emerging in Sub-Saharan Africa. In the women's tournament, Anzel Solomons of South Africa continues her march by beating compatriot Melissa Greef. 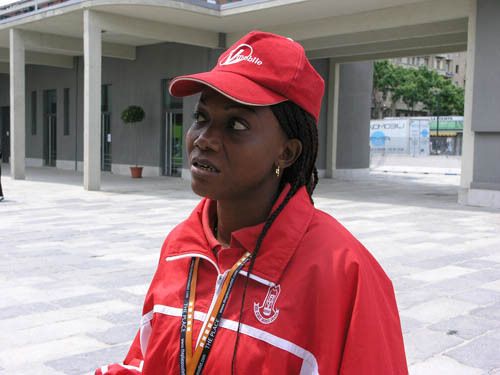 Boikhutso Mudongo beat Nigeria's Rosemary Amadasun to jump into joint 2nd with Egypt's Mona Khaled on 3-1. Tuduetso is off to a slow start at only 50%, but Botswana is trying to defend the title with Mudongo making a run.